Manju Warrier plays the role of Sujatha,a woman living in colony, doing odd jobs. Nedumudi Venu, Mamta Mohandasand Joju George does other significant roles. Shooting of film began by May 4, 2017 and ended by Mid june. Madhu Neelakandan handles cinematography of the film. Gopi sunder is the music director. The film’s teaser was released on social media on 9, September by actor Dulquer Salmaan. 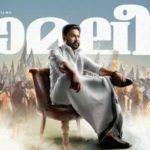 It was shared by other celebrities like Aju Varghese, Nivin Pauly, B. Unnikrishnan etc. 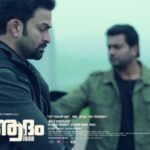 Adam Joan Box Office: 25 Days Kerala Collections!!!!! Poorna Gets Upbeat About Savarkatthi ! !